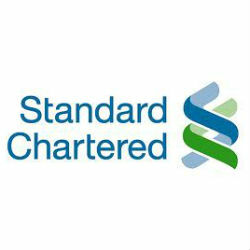 Standard Chartered Bank Tanzania is set to lead the country’s banking sector to its first digital branch; Standard Chartered Electronic Banking Unit (EBU) which will allow customers to undertake banking services entirely with automated facilities. The EBU designated at the Shamo Towers, Mbezi Tangi Bovu on Bagamoyo Road will provide a host of benefits including time and cost-effective banking. The digital branch is in its final stages of completion and will be yet another innovative banking product introduced in the Tanzanian market. “We are finalising some technical details and we’ll launch it soon. It’s a new technology and the first of its kind in Tanzania” said the bank’s Corporate Affairs Manager, Beda Biswalo. According to Biswalo, the EBU will enable customers to withdraw, deposit and process chequing services without the need for human telers. In sight of Tanzania’s competitive banking industry, new and improved products are consistently being introduced by banks to win over Tanzania’s huge unbanked population which offers great potential for the banks and economy as a whole. Standard Chartered Bank Tanzania has relaunched its operation in the country in 1993, since then it has built a base of more than 20 000 customers and offers a variety of financial products to a wide range of customers.